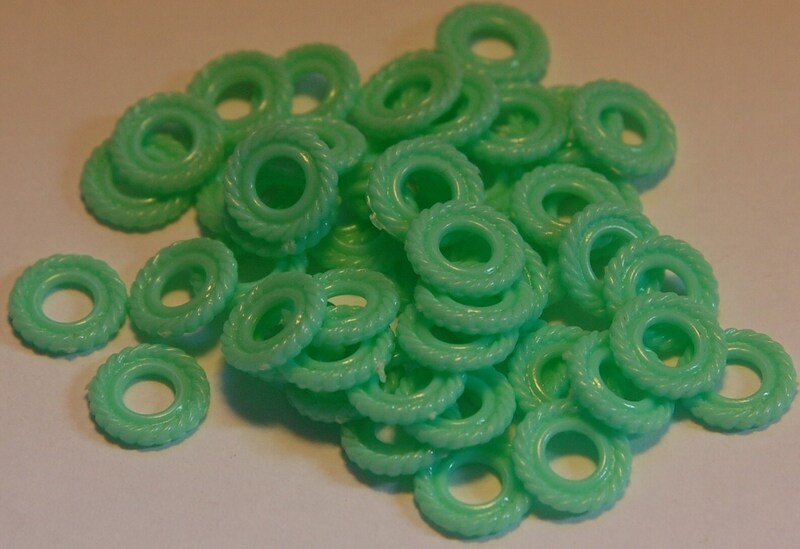 These are a vintage plastic ring bead or spacer. They have a braided or rope like edging. 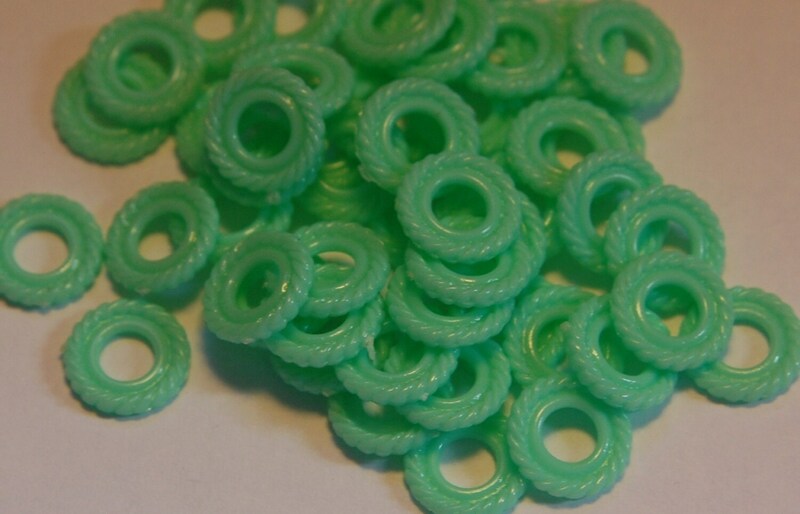 These are done in a great minty green color. 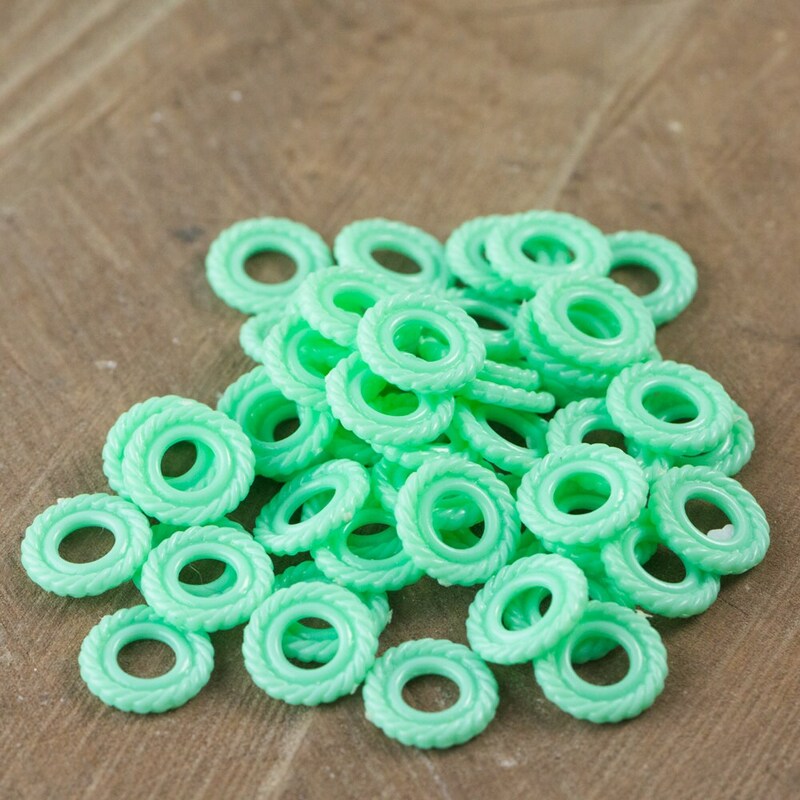 These measure 10mm. You will receive 50 pieces. This dealer has great stuff. Transaction was smooth and speedy. Thank you.